AR Design Methanol PnP Elbow BMW - Dezod Motorsports Inc - Home of the automotive performance enthusiast since 2002. Looking to add methanol or nitrous to your car? Don’t want to deal with the hassle of drilling plastic tubing and fighting leaks? 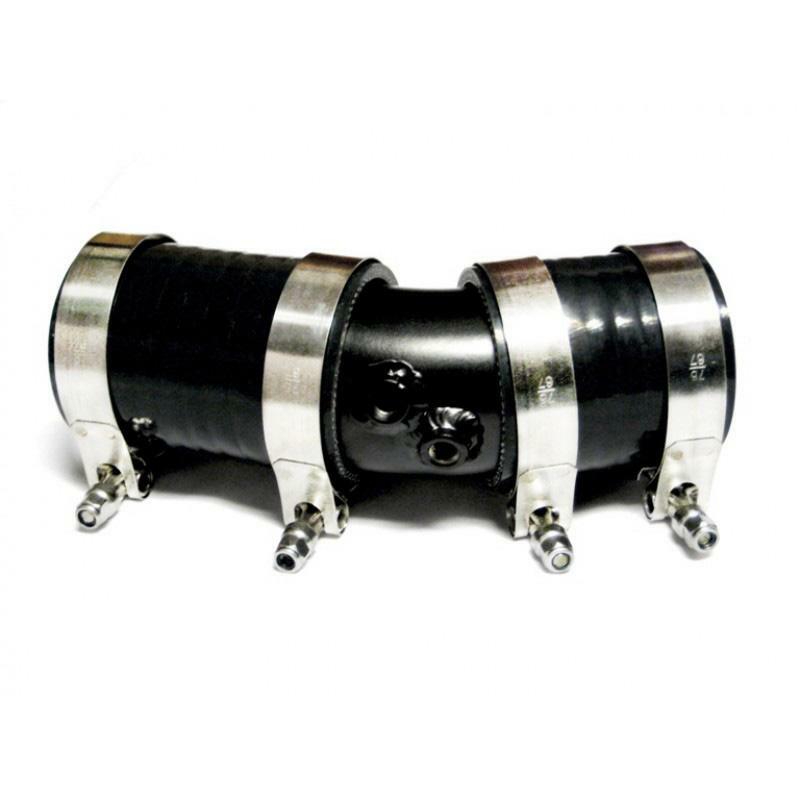 Our ‘plug and play’ methanol elbow kit includes a TIG welded aluminum elbow with a bung welded in for a 1/8NPT methanol or nitrous nozzle, t-bolt clamps, and silicone joiners. A second and third bung can be added as well for those wanting to run a twin nozzle setup, or a twin nozzle setup + nitrous.